All Tutorials / Tagged with "hair"
This tutorial will teach you how to change the color of your hair. 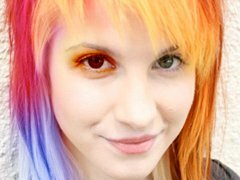 How to make Highlights/Color your Hair on Photoshop 7! Yah. What the title says is what the tut-tut is. Learn how to make your hair look nicer & give your skin a glowing tan.